Two pilot hospitals in St. Lawrence County, which ranked #13 among the top 20 counties in New York for opioid prescribing (#1 being highest prescription rates). The number of opioid prescriptions decreased between 2014 and 2016 in almost every New York county except St. Lawrence and Essex, which saw increases. 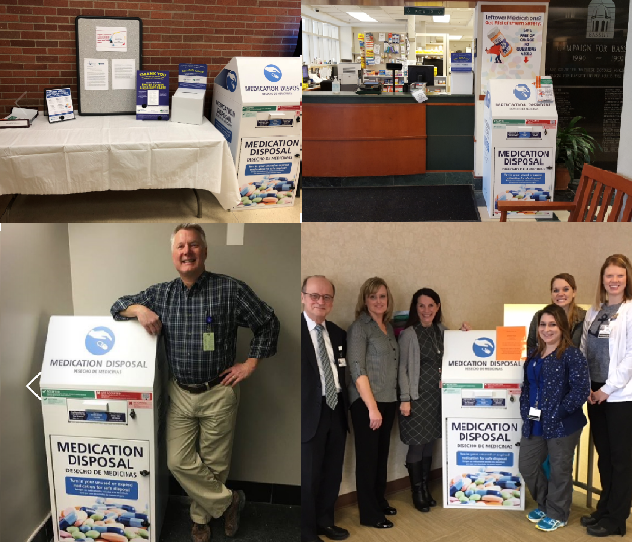 Funded by the United States Department of Agriculture, the six-month pilot program enables residents to drop off unwanted, expired, or leftover medications via collection kiosks and pre-paid mail-back envelopes for free, no questions asked. The locked kiosks and mail-back envelopes, acquired through Stericycle, Inc. and managed by the hospital pharmacies, accept both over-the-counter and prescription drugs (schedule II-V). The pilot program is informed by PSI's How-to Guide for Drug Take-Back and an Advisory Committee consisting of public and private-sector experts. These include state and local government, environmental groups, drug abuse prevention groups, Covanta -- a pioneer in drug destruction -- and others. On May 7, 2018, PSI and NYPSC released a free online Toolkit that medical professionals nationwide can use to learn about safe drug disposal and educate their patients about how to properly remove leftover drugs from their homes. The hospitals participating in this pilot informed the development of these materials and are the first to distribute them to doctors and patients. The project will conclude with a free national webinar to share results and lessons learned. Questions? Contact PSI's Vivian Fuhrman at (617) 236-4771. This material is based upon work supported under a grant by the Rural Utilities Service, United States Department of Agriculture. Any opinions, finding, and conclusions or recommendations expressed in this material are solely the responsibility of authors and do not necessarily represent the official views of the Utilities Programs.